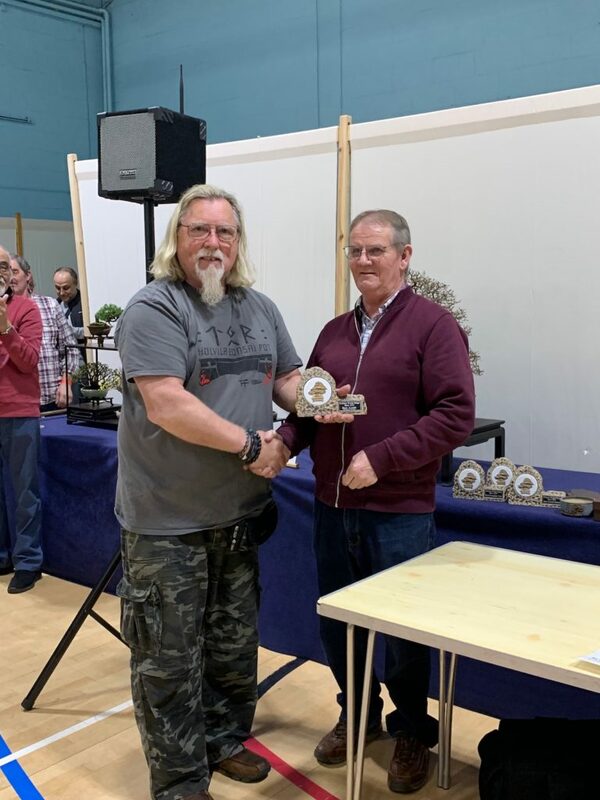 Thank you once again to our Show Sponsor John Pitt who has supported our show for many years as a trader, exhibitor and sponsor. 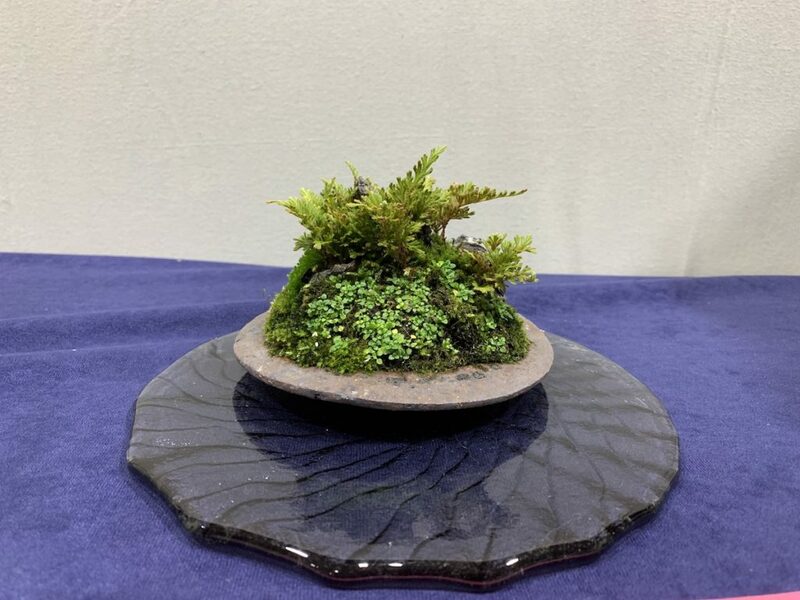 He also is always on hand for the set up and an active support on the day presenting the awards. 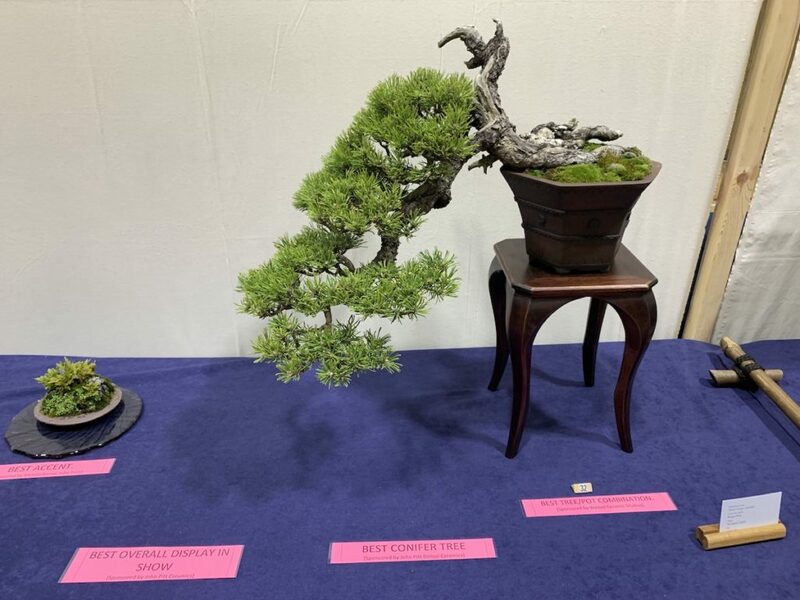 This year he was however on the receiving end of the awards and scoped none other than 4 awards for Best Overall Display in the show, Best Evergreen tree, Best Tree / Pot combination and also Best Accent, so many congratulations. 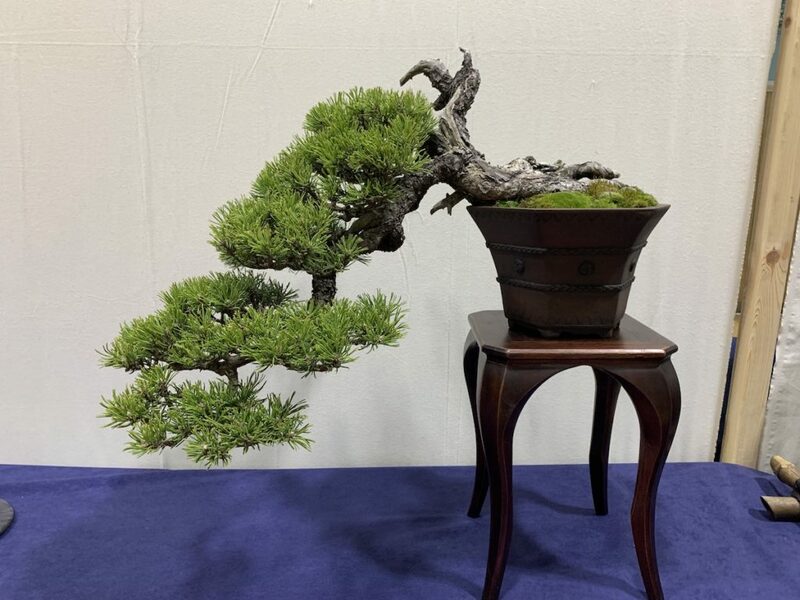 His award winning Best Evergreen or Conifer was for his superb Mugo Pine (Pinus mugo ‘pumilio’), which he has had for 12 years and started from yamadori and it was in a John Pitt pot. 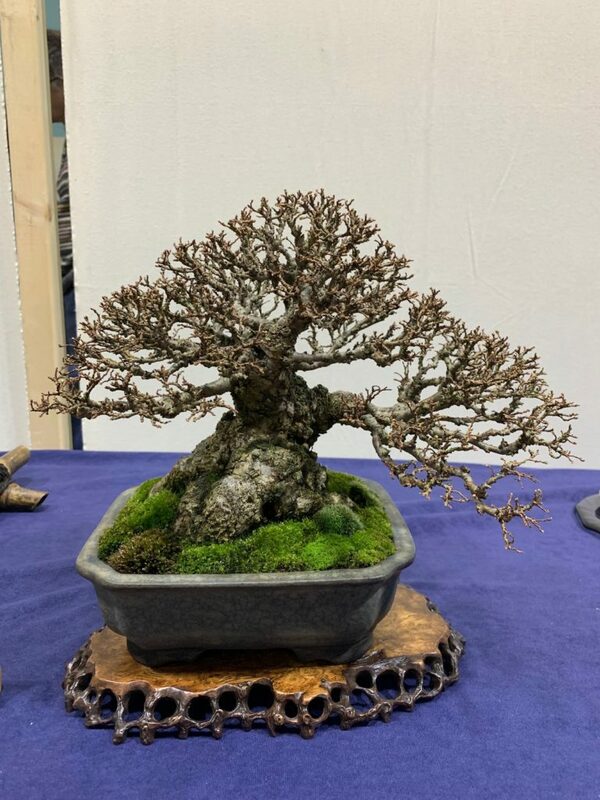 His other tree which made up the display with his accent was a Chinese Elm (Ulmus parvifolia) which was field grown for 7 years and John has owned it for 10 years and it was also in a John Pitt pot. 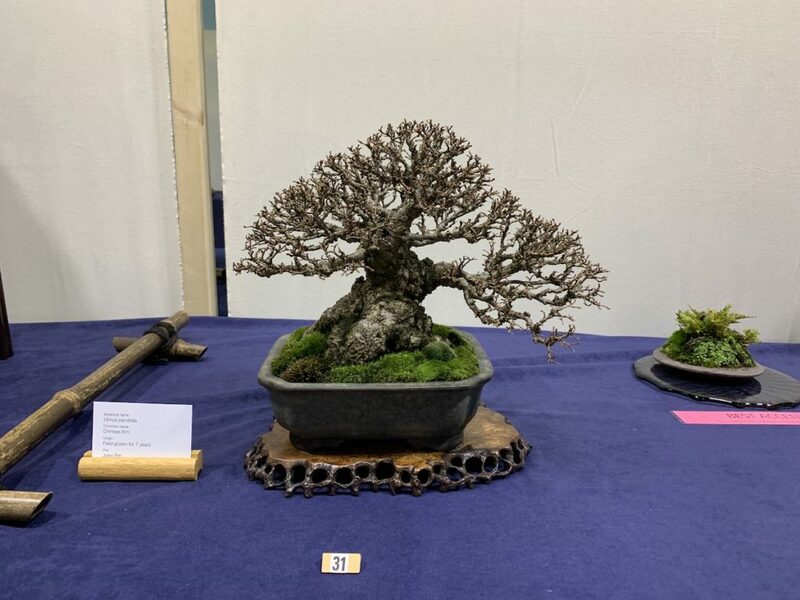 Posted April 6, 2019 by AW & filed under Show Reports, Winter Show.